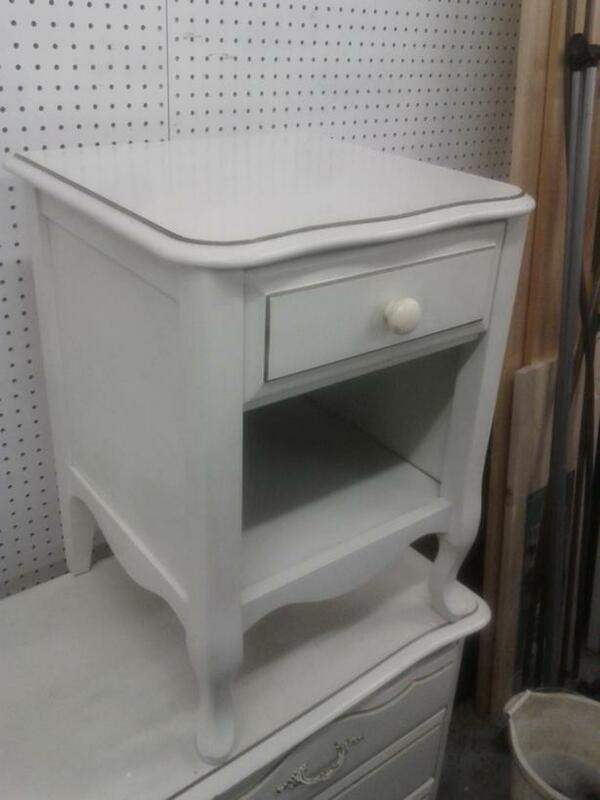 This is a nice wood night stand with the french provincial style that measures 18X18.5X24.5 inches high. This piece is part of a three piece wood set with the french provincial style, consisting of the Lingerie Dresser, Night Stand and the 6 Drawer Dresser. Please check out my other ads or come in the store to view the set before it starts to disappear.